Holy moley, the year suddenly seems to be flying by and we’re into February already. And the start of Feb can mean but one thing: the imminent arrival of Valentine’s Day, that gigantic commercial event to make you part with lots of cash. I’m not normally a big fan of celebrating Valentine’s (could you have already guessed that?!) but I do love a small, thoughtful, ideally handmade gesture and if there are plants involved, why, all the better! So I bring you my five favourite plant-related tutorials / ideas for Valentine’s Day. My hubby is not such a plant lover as I am (read: has no interest in plants whatsoever) but if you have a green-fingered lover in your life, these would go down a treat. Long-term readers might recall my very own cactus saga, but these little cuties are almost enough to win me back round to the spiky beasts. Because, you know, who wouldn’t want a talking plant? 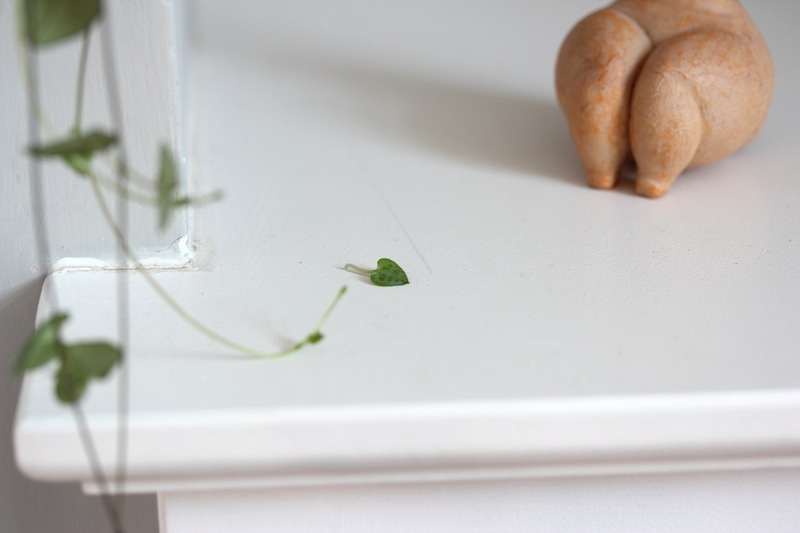 You can see a full tutorial here: DIY plant speech bubbles. 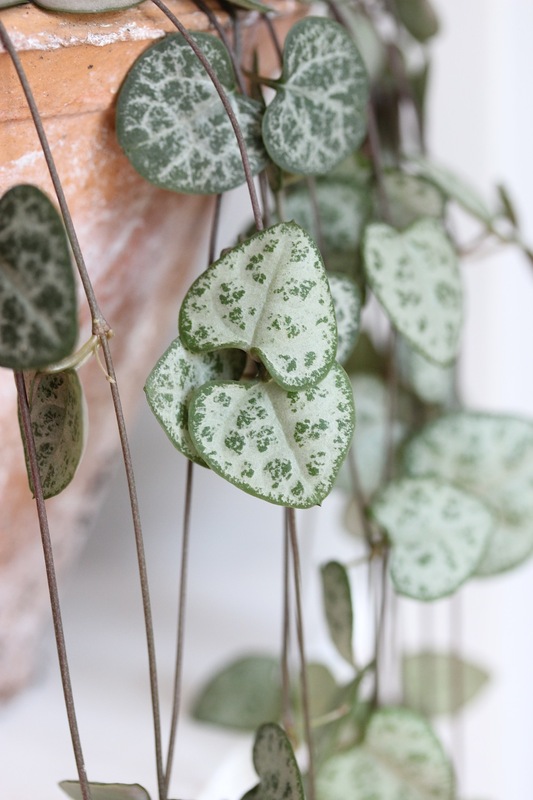 I was first alerted to this adorable heart shaped plant by Gardenista about a year ago and I’ve since seen it popping up all over the place. Hoya kerrii, to give it its proper Latin name, is festooned with heart-shaped leaves. As it’s easy to propagate, you can take an individual leaf and plant it wherever you want. In this case, on the joyofplants website, in a mug to go with your breakfast in bed. 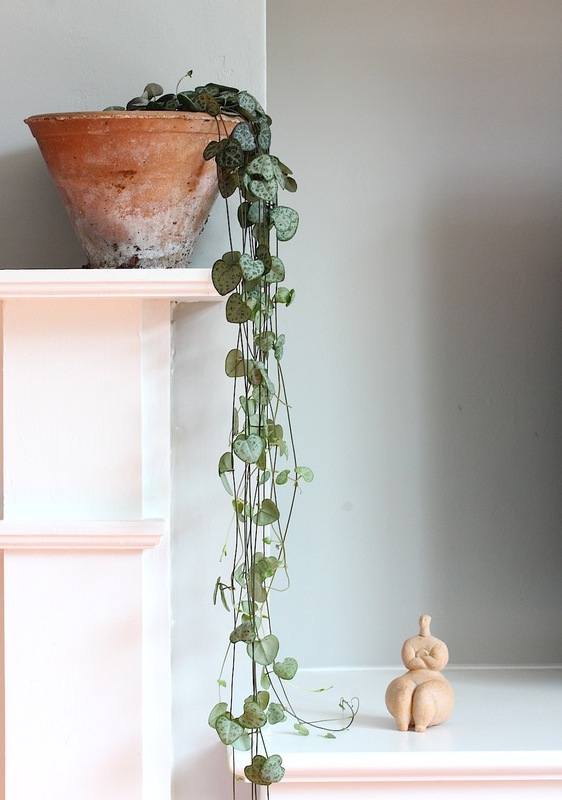 Oh, I know, I’m completely obsessed with my string of hearts plant, but… …just look at it! I don’t think you’d need to do much more than tie a bow around a pot of one of these to make a really glorious present. You can see a few more pictures of mine on my first Urban Jungle Bloggers article, plants and art. Lovely readers, if any of you have been burning with unrequited love for me recently and are looking for a way to show me that you care then may I eagerly suggest creating one of these amazing carved stone ponds?! I suspect only a professional stonecarver could whip one of these up in time for the 14th but, my goodness, wouldn’t this just be amazing out in a garden? I love the idea of it filling up with rainwater after a heavy downpour. I found this on Pinterest and spent ages trying to trace its original source. I *think* that it is from the Baron’s Palace Hotel in Oudtshoorn, South Africa. A place that was, according to its website, built by a wealthy “ostrich baron” at “the turn of the century” (by which, I assume, it means 19th to 20th and not just 16 years ago. Though I might be wrong…) Anyway, the image seems to come from this Facebook post. And I am now dreaming of taking a trip to the Karoo, a place I barely knew about before, and watching some kind of ostrich-based sport like this. The wonders of the internet, eh?! The tutorial comes with a free printable for the cute labels too, check it out here: See Kate Sew. I’m a bit late with the December post for Urban Jungle Bloggers. As the eagle-eyed among you will have spotted, it’s not actually December anymore. But the theme for the month is planty wishes for 2016 and I love it so much that I can’t miss the chance to join in, even if it’s nearly two weeks belatedly. My planty wishes for this year are very simple: I just want more plants! Lots and lots more plants. Essentially, this is the look I want in every single room of the house by the end of the year. Ha ha, does that sound a little bit crazed?! I need to work out positions for the plants where they can’t be too destroyed by the children, as well as simply buying quite a few more plants in the next few months, but that’s just the practicalities to figure out before I can achieve the dream! Watch this space, friends, 2016 is set to be the year of the houseplant chez Wolves in London.